A kitchen and bath remodel can be hard work. Work with one of our professional designers who produce unique and functional kitchen and bath designs, give you expert advice, and guide you through every step of the design process. Our kitchen and bath designers are constantly continuing their education within the industry to create innovative, and meaningful designs for each client’s personal tastes and lifestyle. 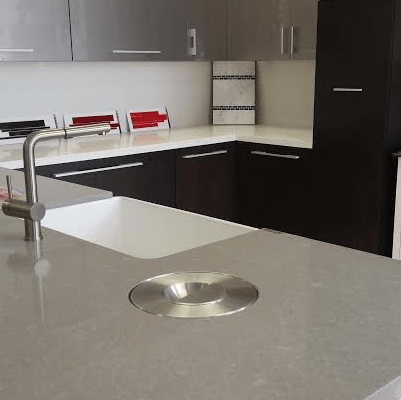 Gilmans Kitchens and Baths offers our clients the opportunity to work with qualified Kitchen and Bath designers who have experience, training and certifications within the design industry. 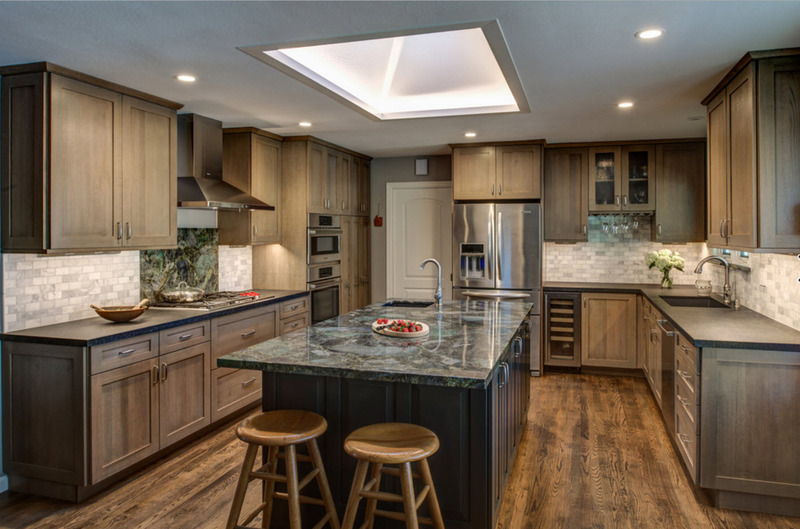 Our designers offer designs for your space using cabinetry that is represented in our four showrooms: San Francisco, San Mateo, San Rafael, and Mountain View. ARE YOU ALREADY WORKING WITH AN INDEPENDENT DESIGNER OR CONTRACTOR? 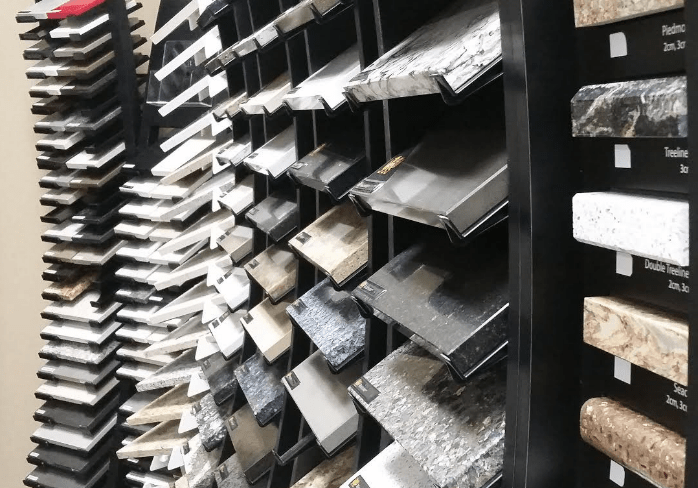 If you are already working with an independent designer or contractor on your kitchen or bathroom remodel, you are most welcome to visit one of our showrooms. In fact, a majority of Gilmans’ clients are independent designers and contractors. 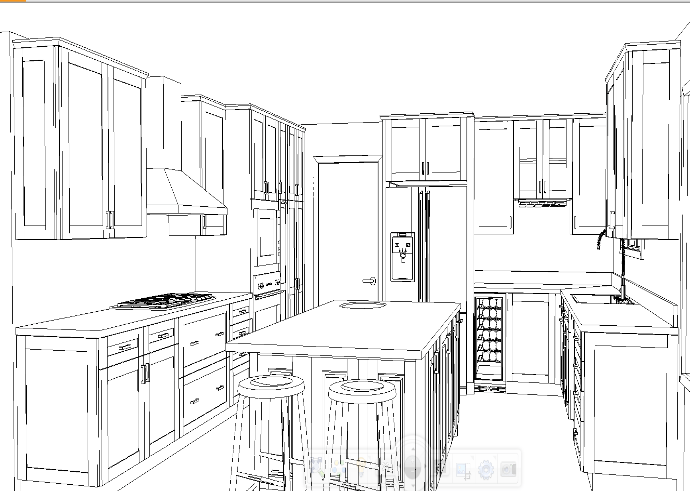 A Gilmans designer will be able to take any proposed design and price out the appropriate cabinetry for that design. If you are not working with an independent contractor, ask one of our designers about our Design Build team and our full service remodeling solution. Clients are always welcome to walk into one of our showrooms, although a scheduled appointment is recommended to assure that a Gilmans designer is able to spend an adequate amount of time with clients. 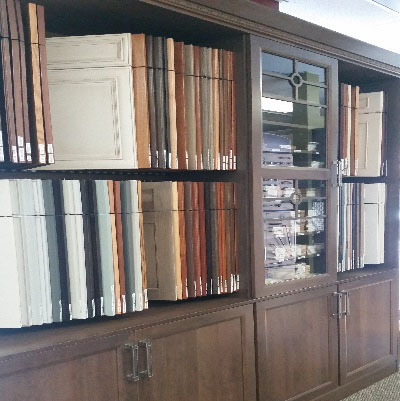 At the initial visit, a client can expect to take some time experiencing the cabinet options first hand. Our many vignettes allow for clients to look, touch and feel the cabinets that are eventually installed in their homes. Our designers are always ready to educate our clients about what type of cabinetry would work best in their new space. Designers may also ask clients questions about lifestyle, preferences, and bathroom or kitchen remodel budget, so that they can begin working on an initial design for the next meeting. It is always helpful to bring pictures, dimensions and any drawings of the existing space so that our designers get a better sense of the client’s taste profile. Gilmans offers a measurement service for those who prefer a professional to measure their space. Gilmans Kitchens and Baths Designers do more than just sell products, they design. Color, function, form, and lifestyle are infused in each design and our designers collaborate and communicate with clients to create the perfect design for each individual space. Gilmans Designers will work closely with your independent contractor to ensure a successful project. Our designers are constantly educating themselves through industry related product seminars and forums. 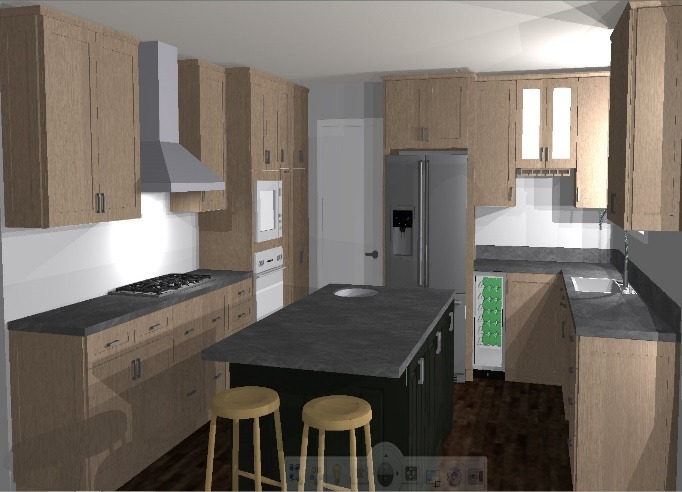 At the follow up visit, Gilmans designers are able to “walk” clients through their brand new kitchen and other spaces with printed black and white 3D renderings, screen renderings, and floorplans. Our designers will be able to present clients with a rough initial design and rough cost of their new space. Sometimes one or two follow up visits are required for our designers to make minor changes before a design retainer is required to move on further with the final design. 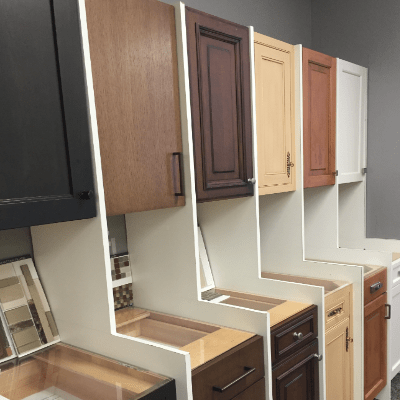 Once a client approves a final design, the design retainer is put towards the final purchase of the cabinets. 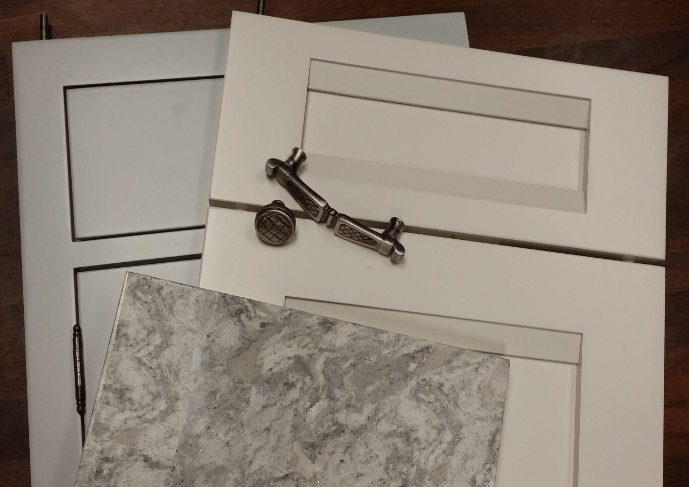 At this point, our designers diligently prepare all of the necessary paperwork, with documentation of every detail that is to go into the newly designed space, including any accessories that accompany the cabinetry.